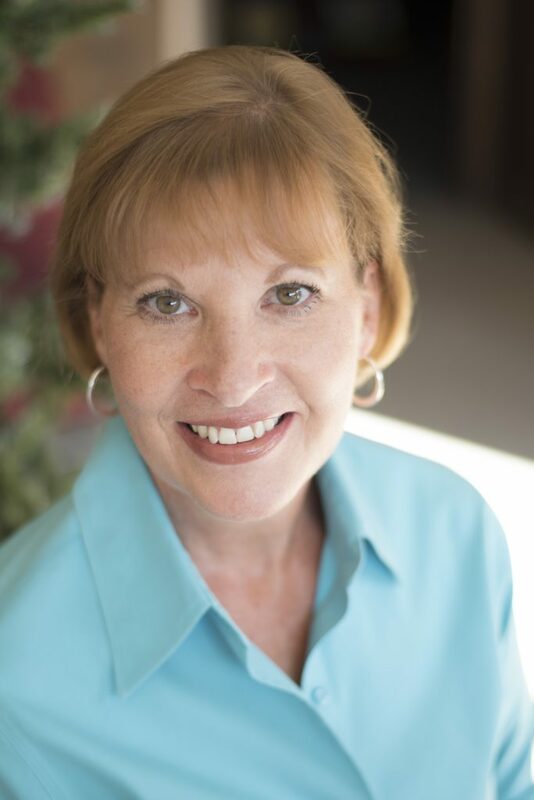 As most of you know, I have two published children’s picture books for my youngest readers, parents, and grandparents—Lexie’s Adventure in Kenya and Princess Madison’s Rainbow Adventure. Both are lovely, illustrated storybooks for children ages four to eight. Lexie’s Adventure in Kenya is a beautiful watercolor picture book that tells the story of a little girl and her family who travel to Kenya, Africa, to visit missionaries and the Maasai tribe. Lexie learns to be patient meets a mischievous boy who becomes a bully to her. Princess Madison’s Rainbow Adventure, is a bright and colorful children’s book that teaches little ones about the colors of the rainbow and the fruits of the spirit, while enjoying a story of cooperation, friendship, and love. Princess Madison loves rainbows. She wants her colorless kingdom to be beautiful and vibrant, like rainbows. 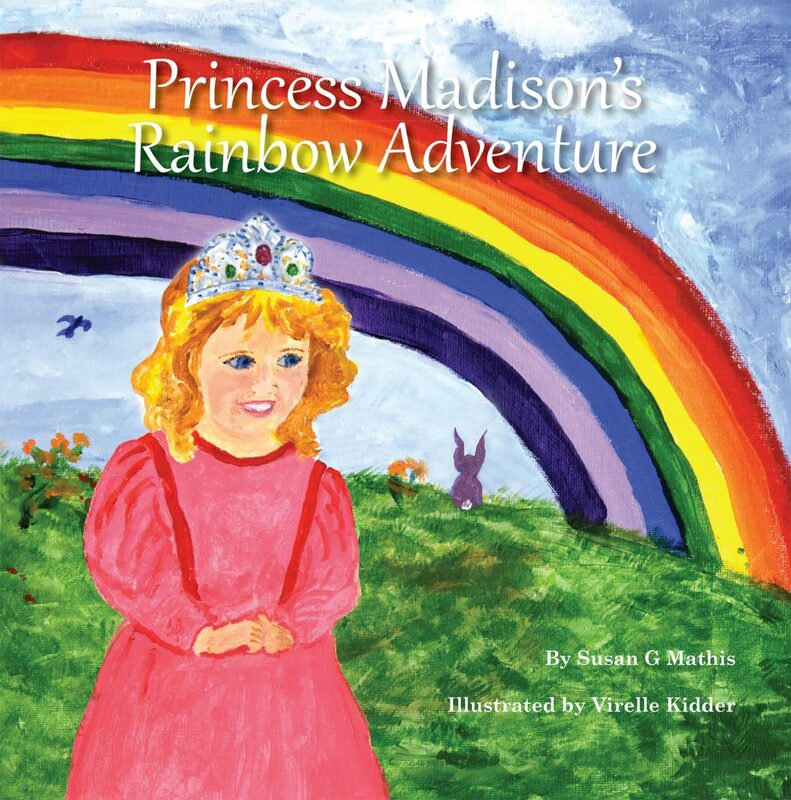 When Princess Madison follows mysterious footprints into the forest, she meets Rainbow Roy. The two work together to grow an amazing garden, fill the kingdom with wonderful fruit, and bring beauty back to the entire kingdom. 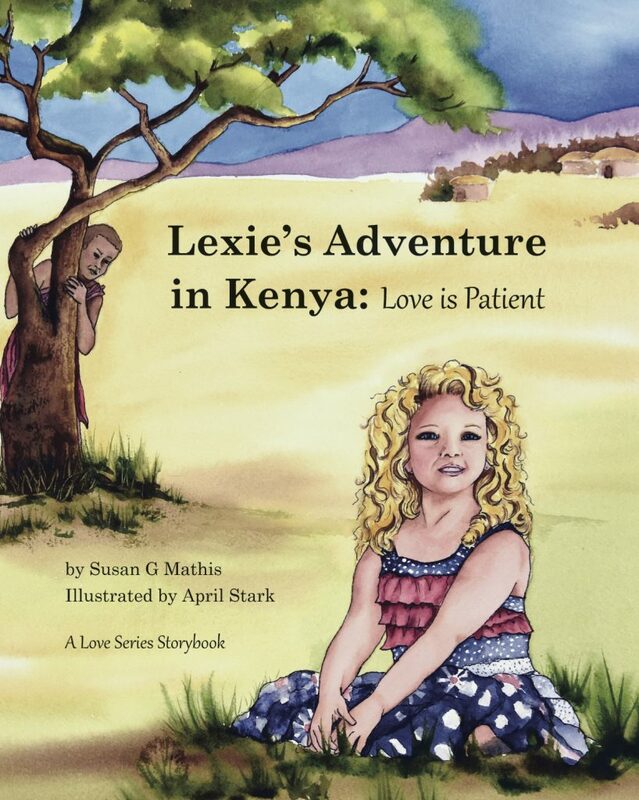 I am asked over and over again, “How do I ever come up with these stories?” My oldest granddaughter, Reagan Lexie, inspired Lexie’s Adventure in Kenya. She was born and lived in Africa until she was seven and had lots of adventures there. My second granddaughter, Madison, inspired Princess Madison’s Rainbow Adventure when I was visiting her in Cape Town, South Africa. Madison loves to dress up as a princess and everything she colors is a rainbow—even horses, houses, and more. One day I asked her why she colors everything a rainbow and she said, “God made rainbows and I love them.” Well, that got my imagination running wild and before you know it, I had another picture book in the works. Trouble is, I have two more granddaughters, and the four year old is begging for her own book. What’s a grandma to do? Never a dull moment in an author’s life. These storybooks would make a lovely gift for a little girl or boy in your life, so please check them out. Don’t forget, Christmas is only three months away! After you read them, please tell your friends about them on Facebook, Twitter, and, of course, in person. And if you would be so kind as to leave a review of the books on Amazon for any of my books, I’d really appreciate it. How do you write a review? It’s really quite simple. Just go to the bottom of the book’s Amazon page and click on “Write a customer review.” Then, tell others what you liked about the book. Reviews on Amazon are incredibly important and very much appreciated. Thanks, my friends, for your faithfulness to all of us authors.